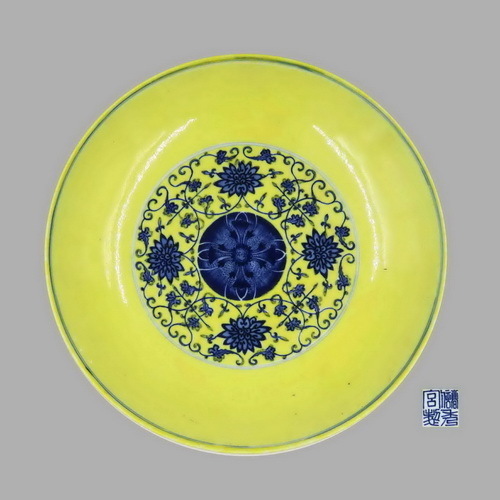 A rare yellow-ground blue and white dish with floral design. 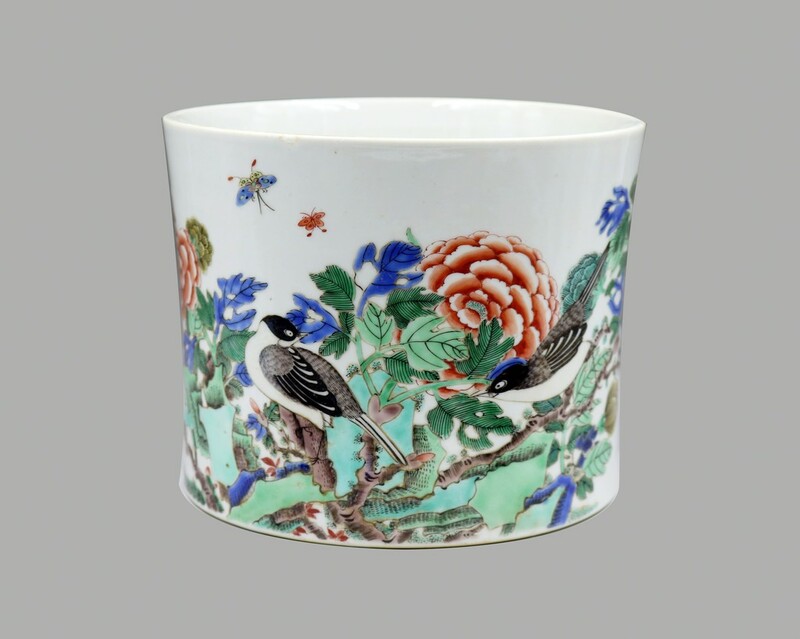 A fine and rare large Wucai brush holder. 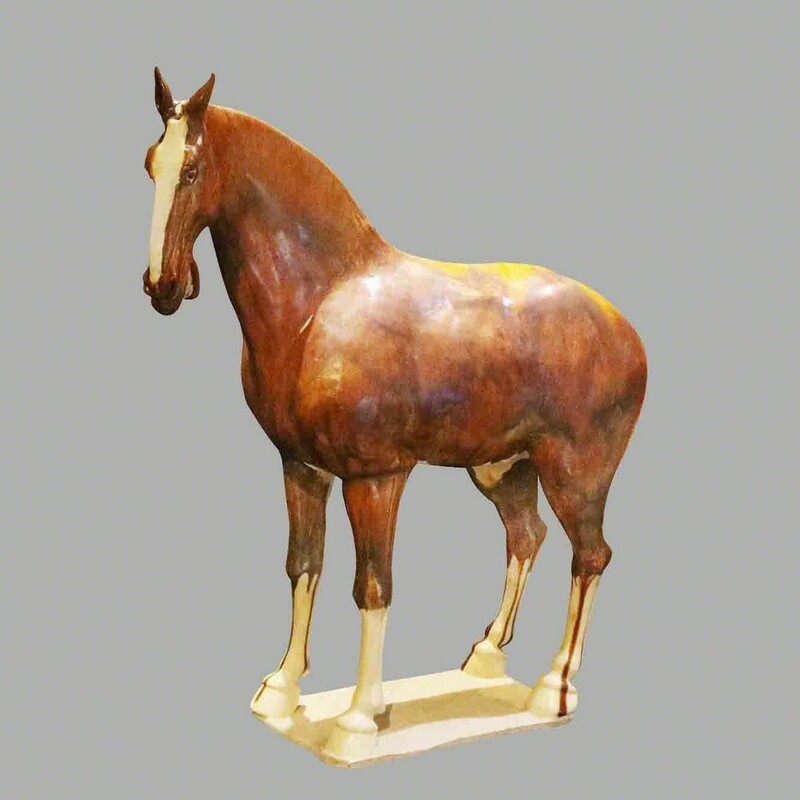 A rare Sancai brown glazed horse.